Frisky Business is a satire column. It is not real and I can't draw. LNP candidate for Whitboy, Mack Aswork has been disendorsed after revelations he earned penalty rates as a teen. The LNP State Executive released a statement saying it was not appropriate for Mr Aswork to continue his LNP membership with such a "questionable history". "We see penalty rates as exploitative and unfair to hard-working small business owners," said the release. "Candidates need to be at the forefront of delivering a fairer system for the labour market. "Successive LNP governments have fought against the long, underpaid and degrading hours SME owners are subjected to." When contacted by Frisky Business, Mr Aswork's office replied he "remains committed to the ideals of the LNP and apologises for mistakes he made as a young person". "Mack Aswork understands many of his supporters are disappointed in him right now and asks for privacy for him and his family." The LNP executive went into damage control earlier this week after evidence of Mr Aswork's time working at McDonald's was published on Twitter. 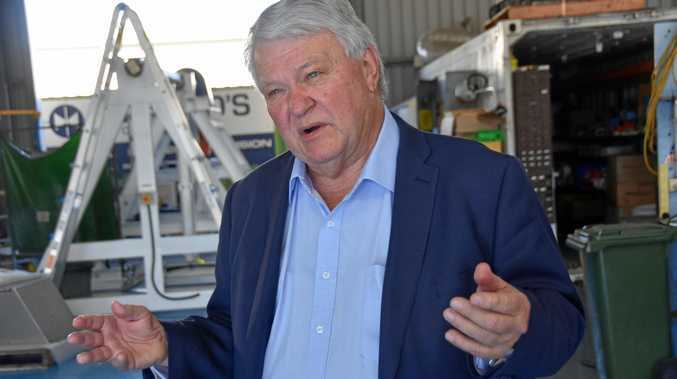 Party leader Cambered Bitumen was doorknocking small businesses in Ashgrove when it came to light. "Look, I don't think it's appropriate for me to comment on the decisions of the state executive at this stage," he told the media. "But it goes without saying that Mack Aswork is unholy scum and he should pay back all $72 to the owners of the franchise he worked at. "I think the voters understand there are bigger issues here than one thieving gutterchuck and his hatred of hard-working entrepreneurs." Queensland Labor's response came as a shock to the LNP after the Opposition revealed it now qualified as a small business. Could the owner of the white Hyundai i30 parked outside please leave the Bruce Highway to the grown-up drivers?